Isaiah Real is a Financial Advisor with Laguna Wealth Advisors, a full service fee-only Registered Investment Advisor firm specializing in Financial Planning, Investment Management, and Estate & Tax Planning. Isaiah established himself in the wealth management industry in 2011. He began his career at major financial securities firm and then transitioned to an independent Registered Investment Advisor firm. 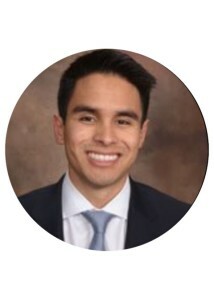 Isaiah takes pride in his distinct approach to communicating with his clients – reviewing with each client their investment portfolio and financial needs on a monthly basis – providing each client the control and peace of mind they deserve in their life. He believes in doing everything the “right way” and making sure that each investment and financial decision is consistent with the clients’ long-term goals. Isaiah utilizes Laguna Wealth’s unparalleled resources – planning expertise, investment strategies, and state-of-the-art technology – to help clients achieve their financial and legacy goals. Isaiah graduated from California State University, Fullerton with a Bachelor of Arts in Business emphasizing in Finance. He is an active participant in the “35 under Thirty-Five” alumni group and participates as a mentor to current university students in the Mihaylo Mentorship Program.